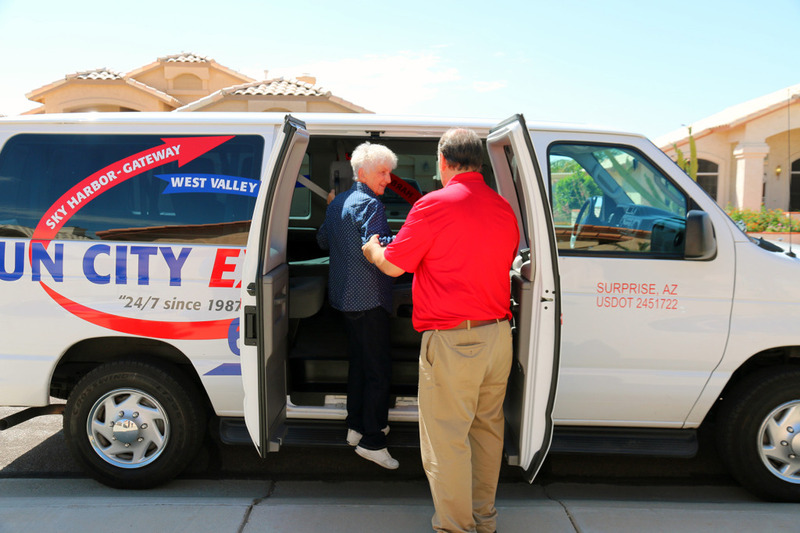 Serving our community in Sun City and Sun City West since 1987, our service has grown to afford you more ways to get to your destination (Town Car, sedan, minivan, etc…). We take pride in the way we utilize technology to receive updated flight information, track our driver’s locations and road conditions in real-time. As a result, our passengers receive an enhanced travel experience and can feel confident knowing that our staff is working hard to ensure you make your flight on time and arrive home safely.